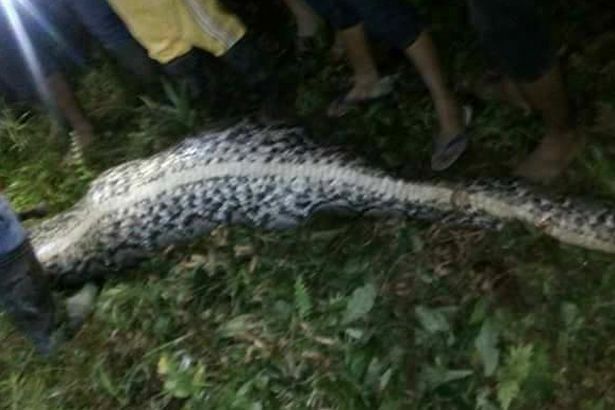 Horrified villagers searching for their missing pal were shocked when they found him in the stomach of a 7m-long python who had swallowed him whole. 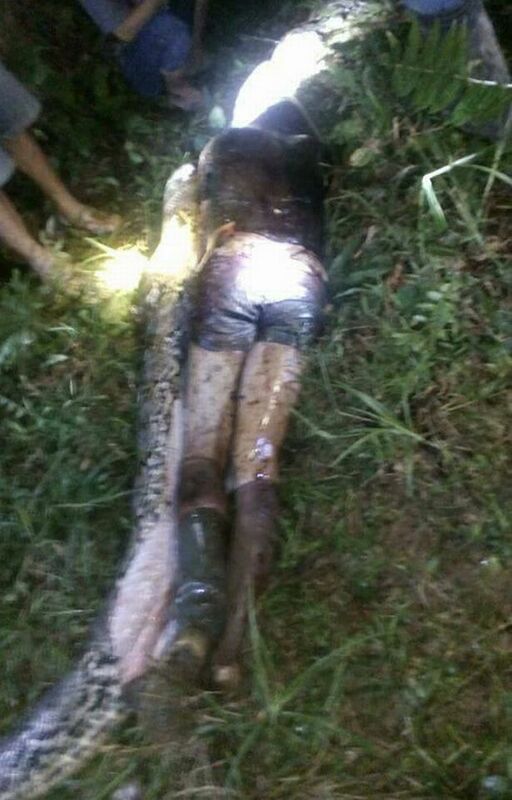 The snake was sliced open with an 18-inch hunting knife after villagers hunting for Salubiro found it in his back garden,UK Mirror reports. The 25-year-old vanished after he set off for work harvesting palm oil in a remote village on the island of west sulawesi, Indonesia, on Sunday night.When he didn’t return home concerned friends and relatives began looking for him the next evening. 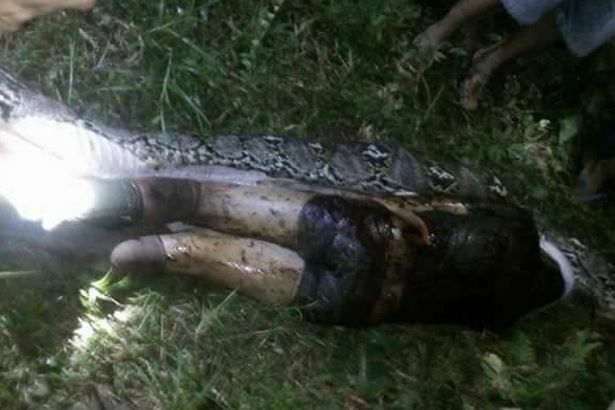 They found the python sprawled out in Akbar’s own back garden on Monday night at 10pm – and feared he had been suffocated and swallowed. 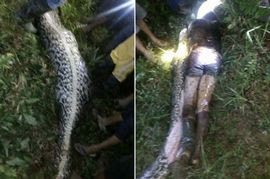 Locals gathered round as one man used an 18-inch long hunting knife to slice open the serpent – and found Akbar inside still in tact.